This Confident, fresh and protected with Tom’s of Maine Natural Deodorant #WhyISwitched #GoodnessCircle post is sponsored by Tom’s of Maine. Opinions are my own. Have you ever asked yourself if a natural deodorant is for you? I know that I did that for years. I sweat. Sometimes I sweat a lot and I was 100% convinced there was no way that I am a candidate for natural deodorant. It wouldn't be enough for me. I would start to smell. These are all of the things that went through my mind when previously considering natural deodorant. I am actually excited to say that I was wrong. We hope that you enjoy this Confident, fresh and protected with Tom's of Maine Natural Deodorant #WhyISwitched #GoodnessCircle post. 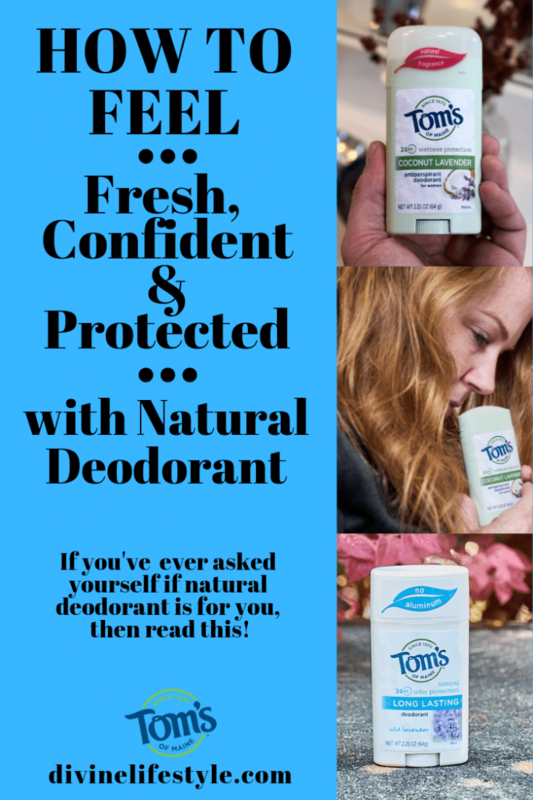 Tom's of Maine is the #1 natural deodorant brand that believes in the power of nature, its odor-fighting properties and creates their products with no artificial fragrances or preservatives. Their collection of deodorants are made with natural fragrances mixed with a blend of vegetable oils, antimicrobial olive leaf extract, organic aloe leaf juice, and other plant-based ingredients. You get 24-hour odor protection from amazing scents like Coconut Lavender (my favorite), Wild Lavender, Tea Tree, Apricot, Lemongrass, and more. Like I said, this natural deodorant thing took me a while to come around to. But I am also the person that goes to conferences and has to hide her armpits because of nervous/anxiety sweat. The funniest part is that it is usually only one armpit that chronically sweats. It's crazy. I take pictures sometimes and so do other women at conferences because we laugh about it. What can you do, really? Since I am a deodorant fanatic (I always have some with me) I thought that switching to a natural formula with Tom's of Maine would be perfect. The fact that I want no odor and want to smell fresh all day is a given with any deodorant I wear but another concern was anti-perspirant? That is really where I need help. Tom's of Maine does all of this without testing animal testing or using animal ingredients which is something that I can feel good about. 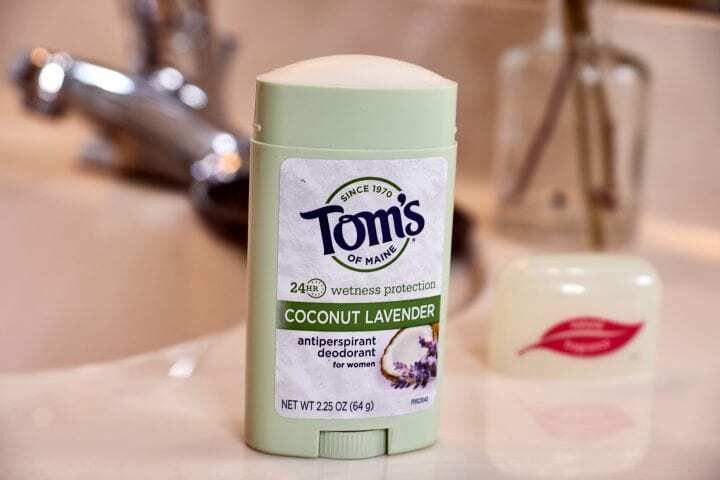 Tom's of Maine Women's Natural Antiperspirant in Coconut Lavender comes in a stick form that protects me all day long. There is no need to reapply. Clinically proven 24-hour wetness and odor protection give me the confidence that I need to make this the only deodorant I will buy. Since joining the Tom's of Maine Goodness Circle, my family has really gotten much better about living a more natural lifestyle. 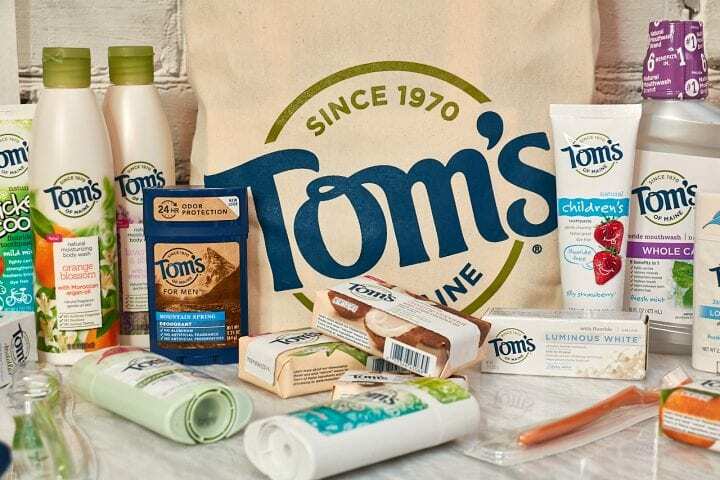 Tom's of Maine has spent more than 48 years developing natural personal care products with a focus on natural, responsible and sustainable practices, while giving 10% of its profits back to helping people and the planet. I hope that you enjoyed this Confident, fresh and protected with Tom’s of Maine Natural Deodorant #WhyISwitched #GoodnessCircle post. Tom’s is awesome! I use the toothpaste but I have yet to try the deodorant. Putting this on my to do list. I never used Tom’s deodorant before. 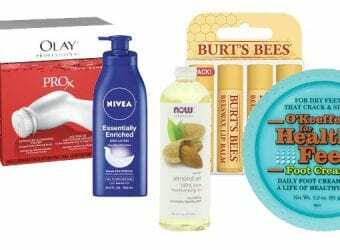 I need to try them I love natural products. 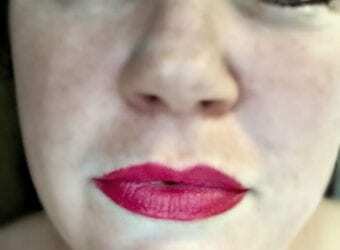 Thanks for sharing I love learning about new products! This is a great review! I love Tom’s products! Oh i’ve never heard of this deodorant, it seems awesome and it is natural! I will definitely try it. Thank you so much for the recos. I’ve never heard of this brand, but I’m interested to learn more. Seems like a great product. I love the deodorant…I’m actually wearing it now….and I’m a guy. Works great. I was not aware of this brand! I have been searching for a natural deodorant that works for SO long! I will definitely check this out. I love Tom’s brand :). I love feeling like I am using something a bit healthier and natural! Thanks for all the info! I’ve never tried natural deodorant before – like you said in the beginning, I’ve always worried about it not being effective. Now I’ll have to try this one out! I have never heard of Tom’s before. It’s great to find a natural alternative, especially one that is not tested on animals. That is a must in my book. Great review. Deodorant is a delicate issue for me! My armpits skin is very sensitive and stuff with alcohol or aluminum are a no-no for me. I always appreciate a natural product! I have never used Tom’s deodorant but, I have always heard great things about it. I love that it’s natural. I definitely need to try it! This is a great brand. They have some really good products. I have one armpit that sweats more than the other, so I should really try this. I love their toothpaste but haven’t tried the deodorants yet. I am adding it to my shopping list now! I use toms for everything but not deodorant I am much stop active for it. I am running around too much and my body just does it’s thing. I love all of toms products however . Tom’s is a wonderful brand. I like their approach with natural ingredients. I like not putting on some sort of chemicals I don’t know how to pronounce! I’ve been impressed with their natural deodorants too. They do the trick and they have some good scents. I like Tom’s of Maine deodorants. It is non irritating and cruelty-free. I will purchase that coconut lavender one so I can use it soon as I have used up the one I have right now. We love Toms of Maine too and really have enjoyed being ambassadors! 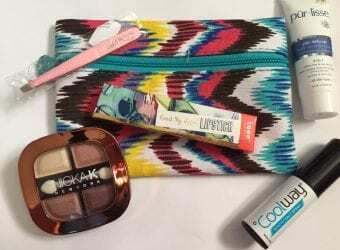 I consider myself a life-long consumer since I love their products! I’ve used Tom’s once, but it is hard to find around here. Seems our stores either don’t carry it or they’re out of stock! I love Tom’s products. Coconut Lavender deodorant sounds like it would smell really good. I have been wanting to try Tom’s of Maine deodorant but haven’t yet. I like that it is an antiperspirant as well. The coconut lavender sounds lovely. My whole family uses deodorant.Thank you for the tips, I will try it immediately! I’ve never tried natural deodorant but I’ve always wanted to. Think I might have to try this Tom’s brand. I haven’t used this brand. I am going to have to check it out.